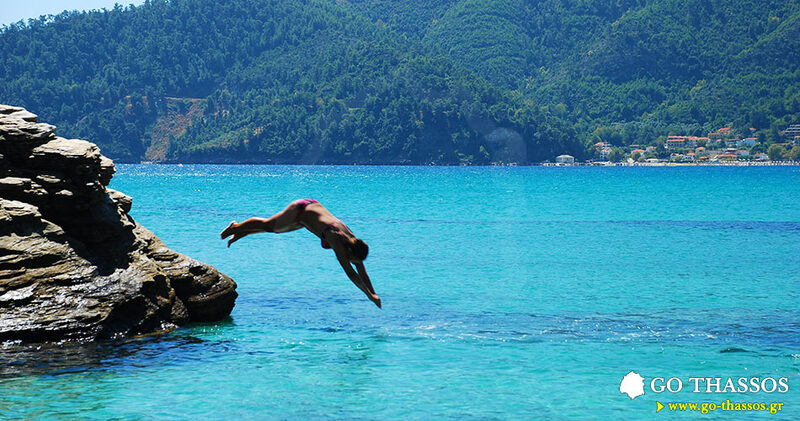 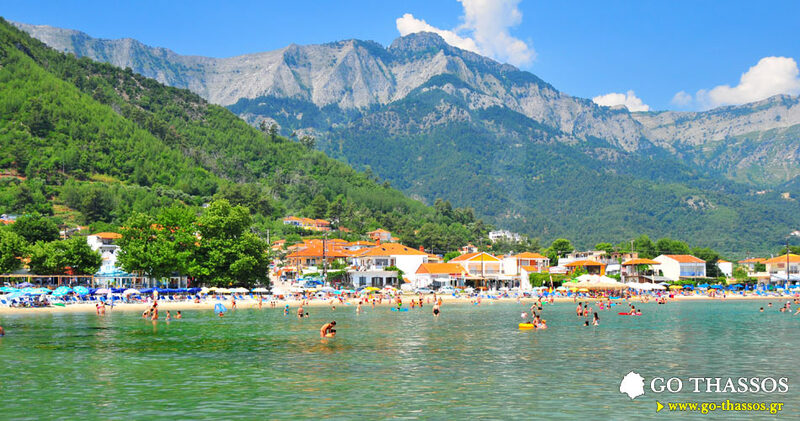 Welcome to the emerald island of Thassos, one of the most beautiful islands of Greece where you can experience a fun, laid-back and unforgettable holiday. 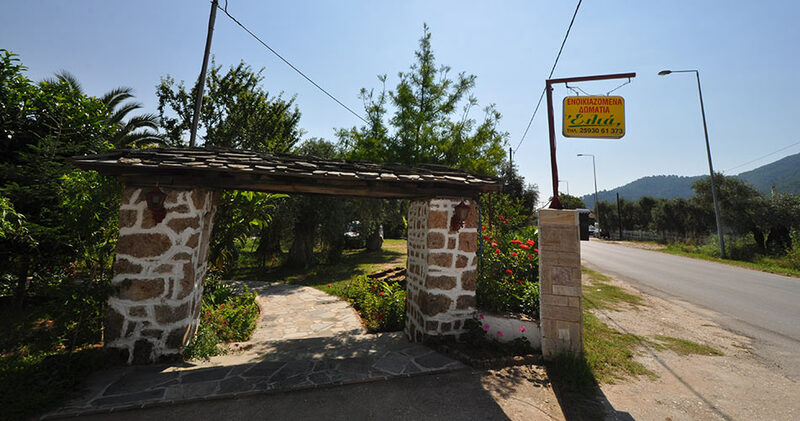 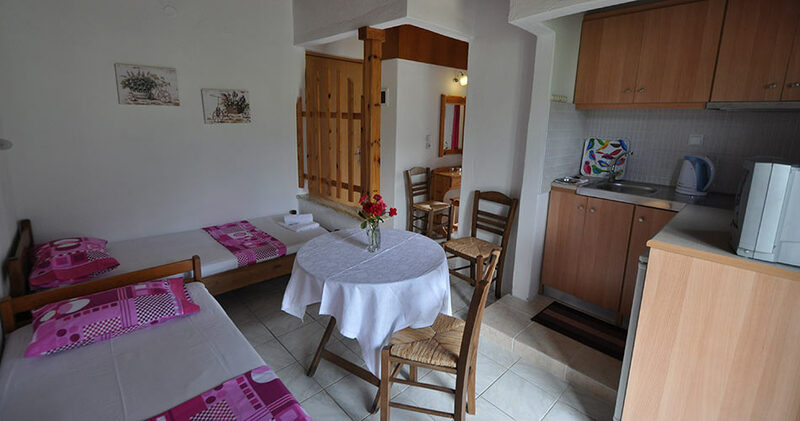 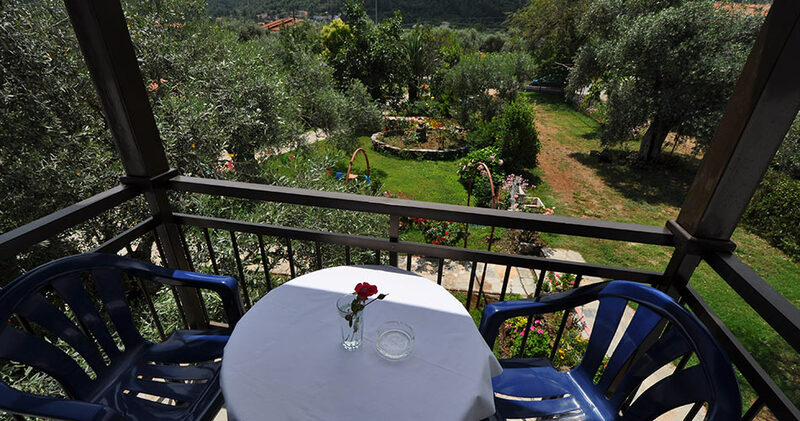 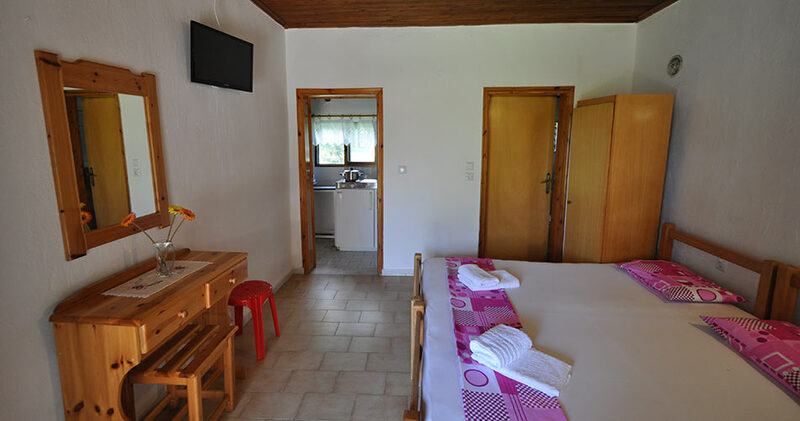 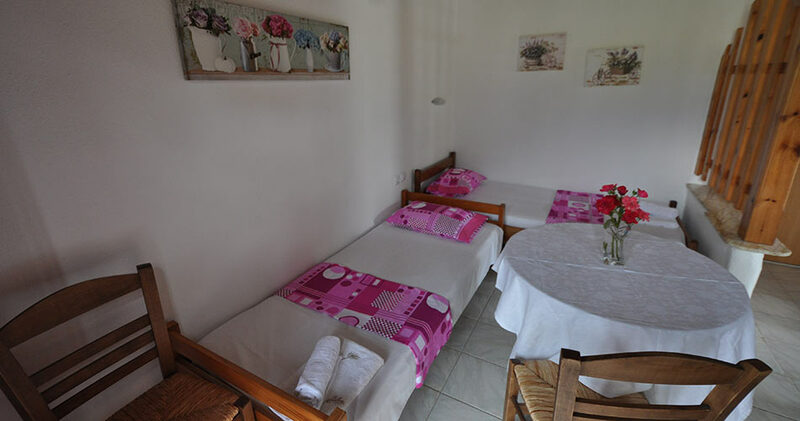 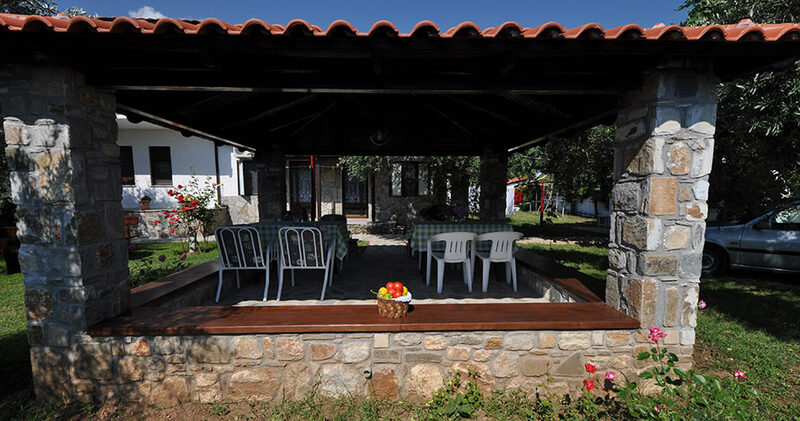 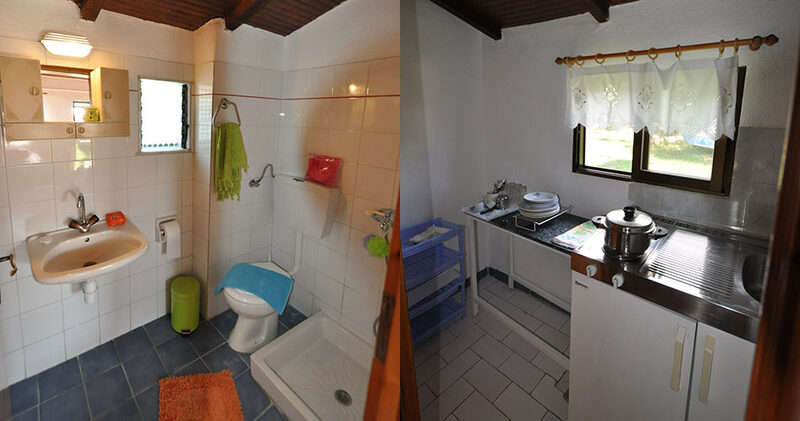 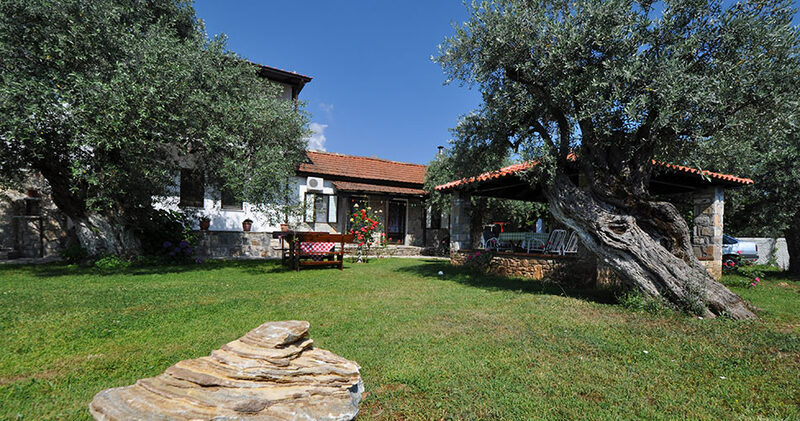 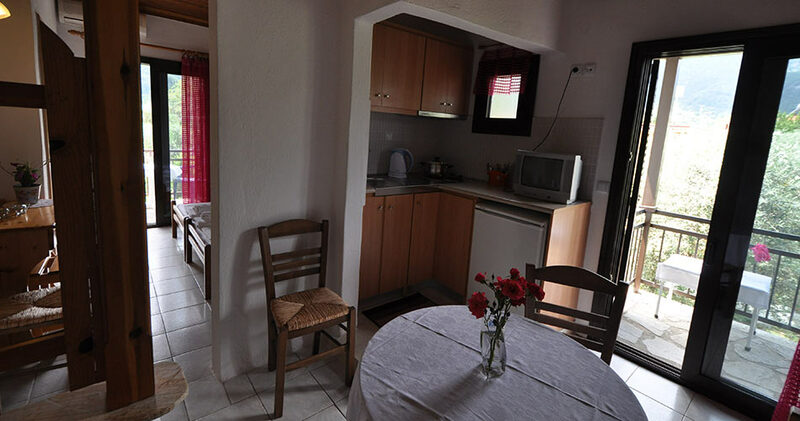 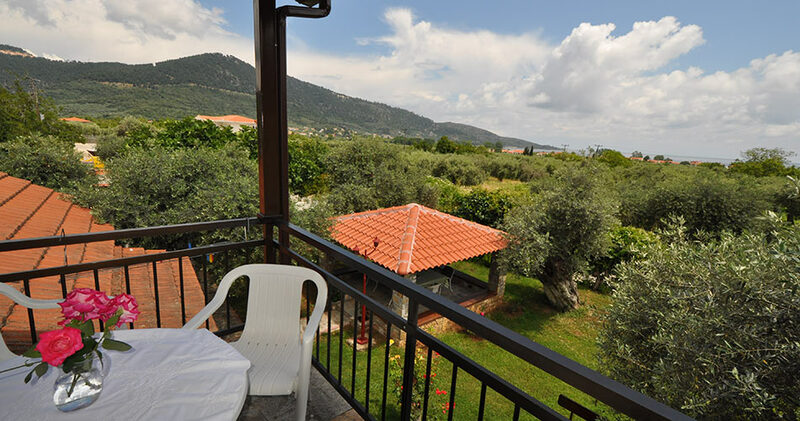 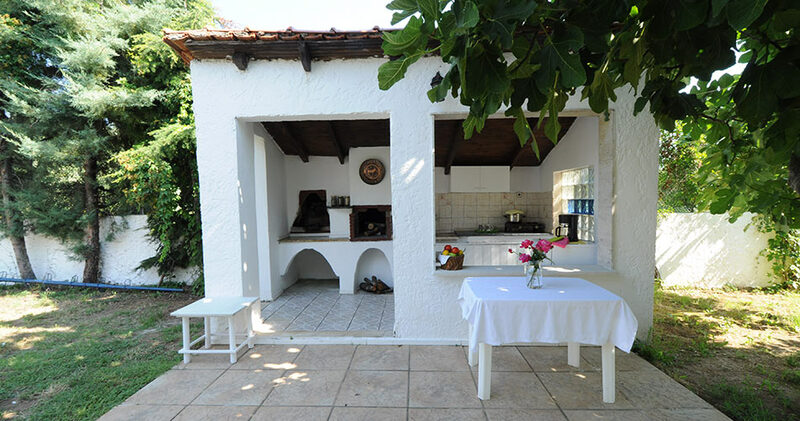 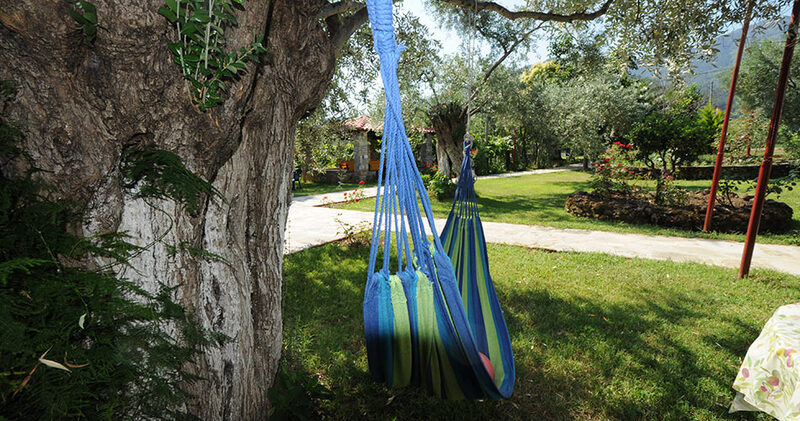 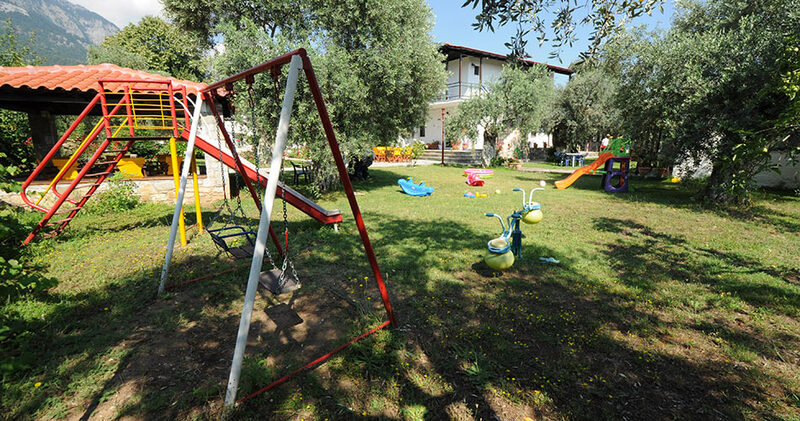 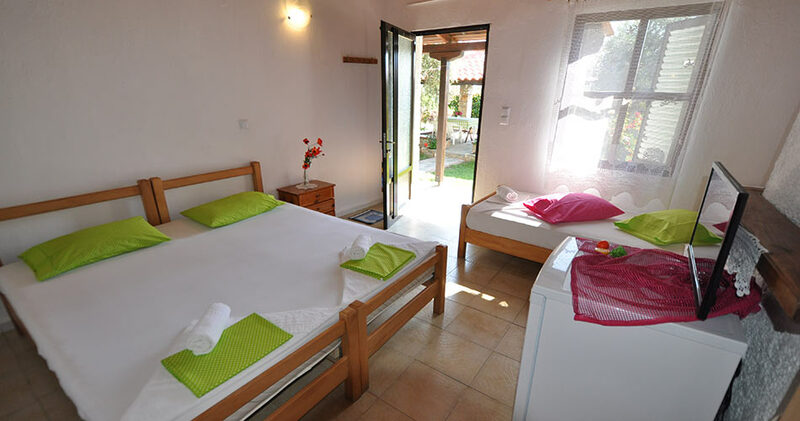 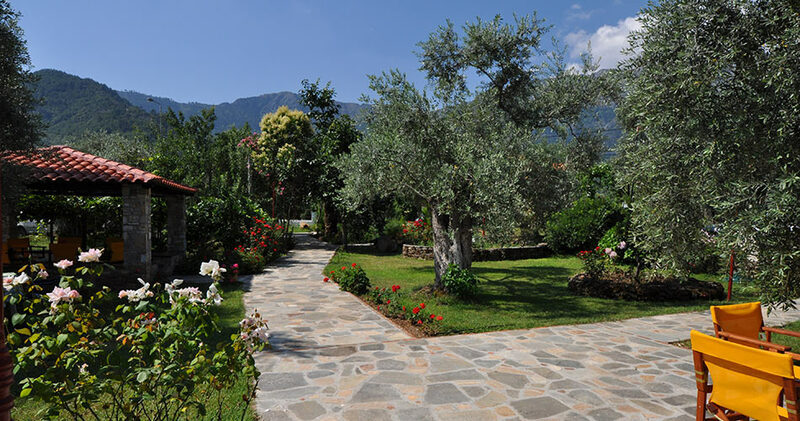 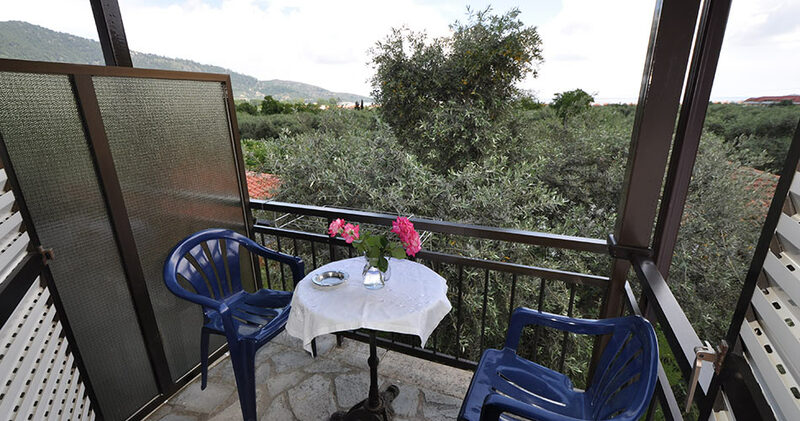 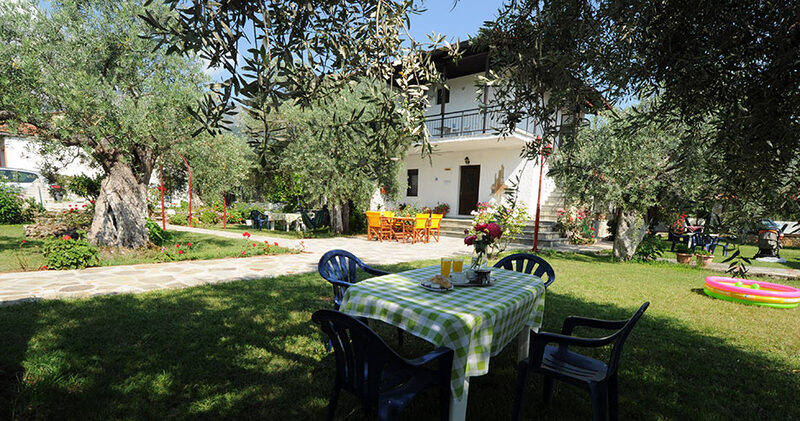 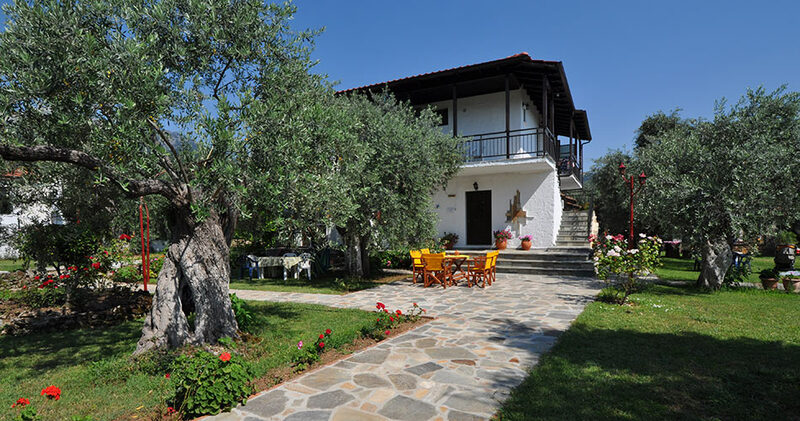 In the village of Skala Potamia, tucked away inside a quiet olive grove near Golden Beach, we offer studios and apartments with fully-equipped kitchenettes that have what you need for a pleasant self-catering stay. 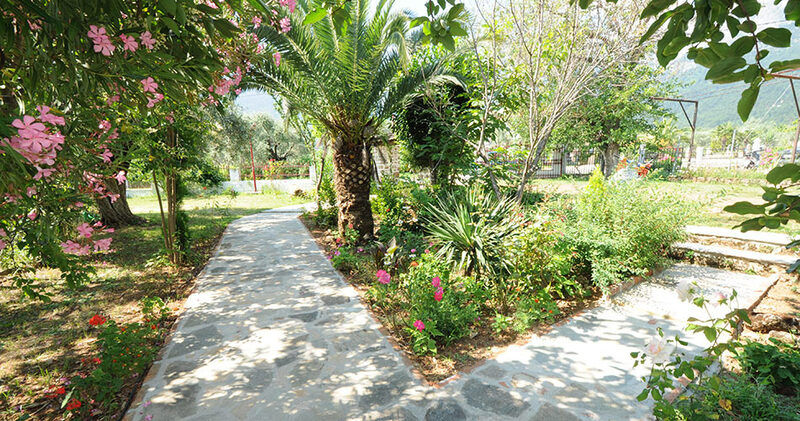 When you're not touring the island's sandy beaches and fascinating sites, you may enjoy a delicious barbecue in our big open garden, where you will find the ideal environment to rest and enjoy the company of your family and friends. 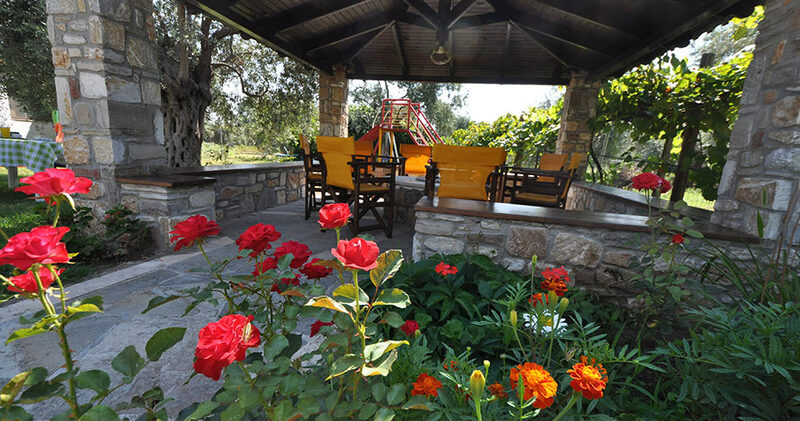 There's a playground for our young and energetic guests, and two kiosks with seats and tables that are perfect for every relaxing occasion. 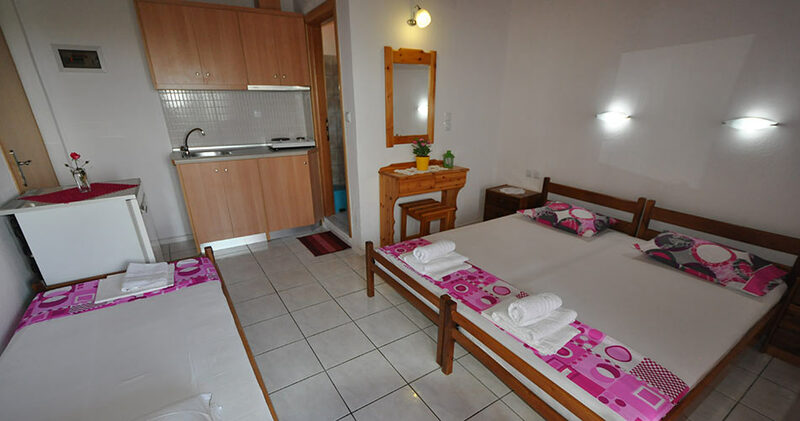 We also offer free WiFi internet access, private parking on our own grounds, and convenience due to our location next to the island's ring road. 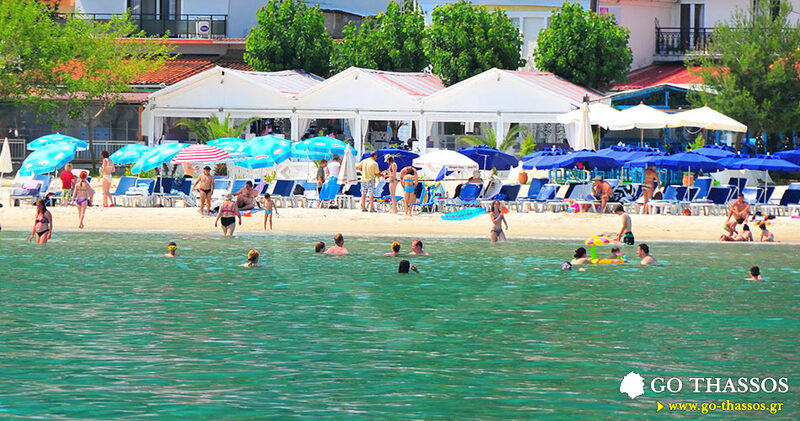 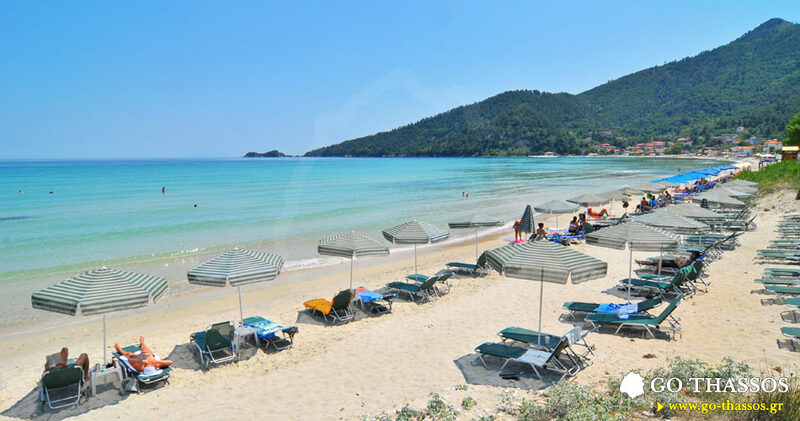 Less than 5 minutes away you will find the most beautiful beach on Thassos, along with watersports, restaurants, tavernas, bars, supermarkets, shops, and much more!